Cookham Dean was the childhood home of author Kenneth Grahame and became the setting for the famous Wind in the Willows stories about Mr Toad, Ratty, Mole and Badger. The charming story book icons have inspired the new identity of Sanctum on the Green’s restaurant, listed also as a bar and wine emporium. The wine list has been curated by Britain’s oldest wine and spirit merchant Berry Bros & Rudd (1698) alongside John Spence, the chairman and founder of the Karma Group. But I wasn’t going for the wine. The Mole and Badger is led by Leicester chef Johnny Prince and showcases locally-sourced free-range produce, organic meats and line-caught fish in a menu that is both traditional and yet exciting enough to make choosing one dish almost impossible. After much deliberation I selected the Loch Duart salmon with avocado puree and horseradish cream for my starter. Cooked using the sous-vide method, the rosy salmon was silky smooth and paired beautifully with the luminous-green avocado on the plate. The ham hock starter came with celeriac puree and fine slices of apple; robust in flavour and texture. Rebellion ales are available on tap and I had a glass of small-batch honey-gin made by Keepr’s. The London dry gin is made with an infusion of raw honey cultivated in the Cotswold’s and is gently sweet and very easy to drink. 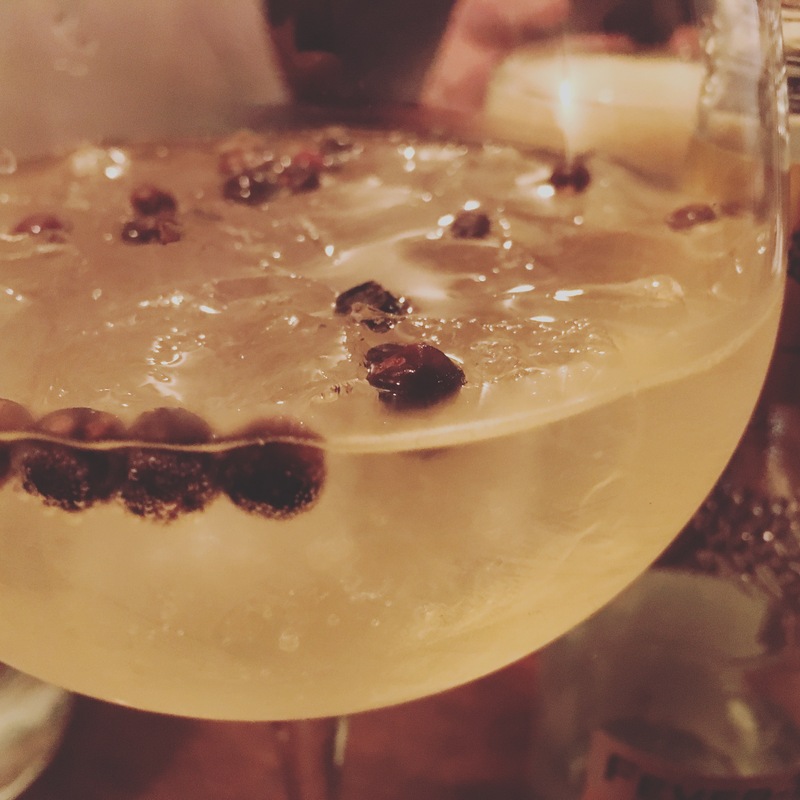 Keepr’s have partnered with the Mole and Badger to give local gin-lovers an exclusive selection of infused spirits including Strawberry and Lavender gin, Raspberry and Honey gin, Apple and Honey Vodka, and Honey-spiced Rum. 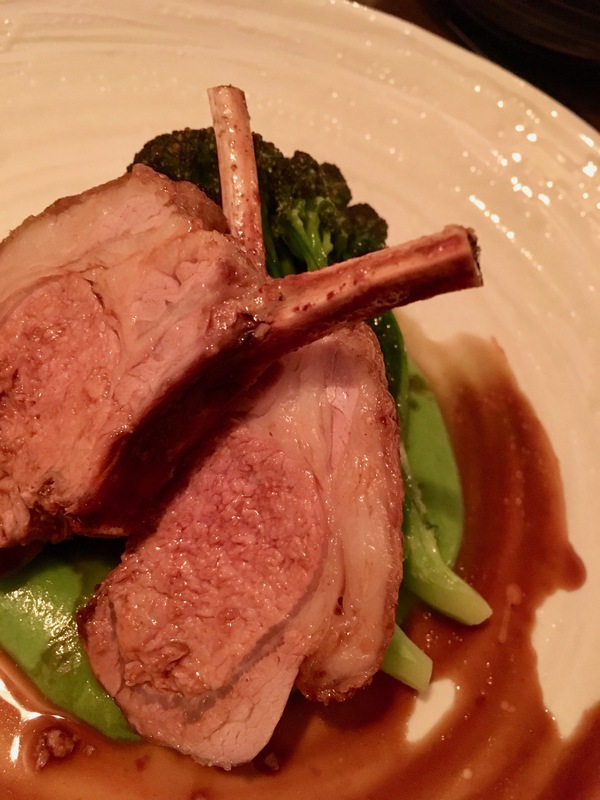 For mains, we ordered the Berkshire pork and apple sausages with creamed potato and sticky red cabbage and the Rhug Estate lamb rack with Smith’s Farm sprouting broccoli and a lamb shoulder hot-pot. The generous serving of both meals was a most welcome surprise with the prices coming in at a comparable rate to other pubs in the area of similar quality. The quality of the meat was noticeable, with the lamb offering up a succulent texture and hearty flavour, likewise the pork sausages had the perfect balance of savoury with the slightest hint of apple-sweetness; set off by the fruity, crimson cabbage and caramelised onion. We couldn’t quite finish our dinner, but that could’ve had something to with the venison scotch egg that we shared before our meal arrived, and the fact that we were saving the tiniest bit of room for the rhubarb soufflé. Set in a series of cosy rooms surrounding the main bar and lounge area, The Mole and Badger’s decor has a discreet ‘hunting lodge’ chic, understated if you don’t get distracted by the music memorabilia. There’s a fire, comfy chairs, good service and plenty of good things to eat and drink; reason enough for me to go back for more and for the other pubs in the village to look over their shoulder.